Manzanar National Historic Site hosts a special program on Saturday, June 27, at 11 a.m. highlighting “The Life and Art of Chiura Obata,” presented by Obata’s granddaughter, author/historian Kimi Kodani Hill. 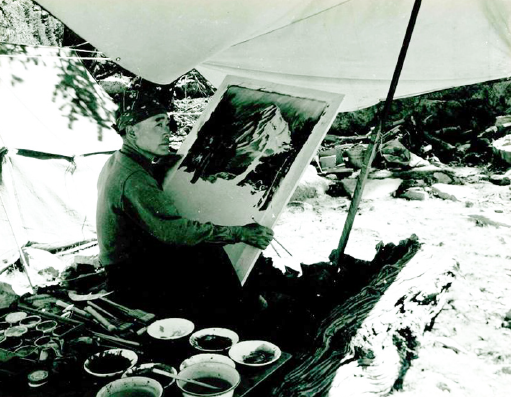 Obata had a special bond with Yosemite and the Eastern Sierra. His works, showcased in “Topaz Moon” and “Obata’s Yosemite,” illustrate human hardship as well as natural beauty. The program is free and open to the public. After the program, Kodani Hill will sign books in the Manzanar History Association bookstore (www.manzanarstore.com). Proceeds benefit Manzanar. For more information, call (760) 878-2194, ext. 3310.